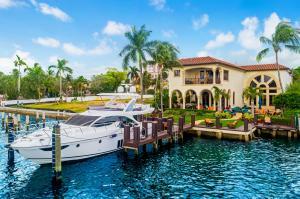 Kinney & Gates is a waterfront residential community located in Boca Raton, Palm Beach County, Florida. Kinney & Gates is comprised of 14 luxury custom built estates. All homes in this community have oversized floor plans and many luxury features, such as gourmet kitchens, stainless steel appliances, granite countertops, wood cabinetry, crown molding, upgraded flooring, walk in closets, roman tubs, large bedrooms, marble baths, swimming pools, outdoor kitchens, and patios. 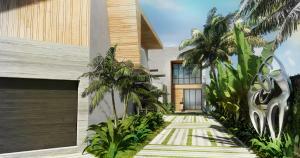 The community offers quick access to the Atlantic Ocean and private docks on the Intracoastal waterway. Kinney & Gates is a beautiful place to call home, just minutes from schools, the beach, shops, dining and more. Kinney & Gates in Boca Raton is really a wonderful location. The Boca Raton location is amazing. But, if this isn't the community for you, you might like one of the other local communities like Santa Barbara or Patrician Condo or Horseshoe Acres that are located here as well.